Aquaman is the biggest movie coming out this month so I’ve decided to look back at the Snyder movie which started the DCEU, Man of Steel. The film stars Henry Cavill, Amy Adams, Russel Crowe, Michael Shannon, Kevin Costner and more. First, my non-spoiler thoughts. I really like this movie. One of the best parts of the film to me was the score. Zimmer’s score in this film is one of the best in any comic book movie. I also believe that Henry Cavill is the BEST Superman we have ever gotten. I also liked most of the visual effects that Snyder has done a great job on. There are a lot of things I enjoyed and some things that I didn’t enjoy as much which I will discuss after the spoiler warning. Overall, this movie gets a B from me. The opening sequence is probably my favourite scene in the entire film. Russel Crowe does a great job here and the tension brought upon us is fantastic. General Zod’s motives were established here and I don’t think there was a better way to tell Superman’s origin and establish the antagonist of the film. The visuals in this scene are also phenomenal. Now for the technical aspects. The CGI is normally great and there are several brilliant shots in this movie. The Krypton sequence is filled with them and even the final battle has great shots like the Space Station pieces falling to the ground . The cinematography in this movie is also pretty great. One of my favourite parts was how they filmed the action sequences between Superman and Zod. The longer takes were super effective and part of me wishes that they used it more. An example of this was the way the camera follows Jor-El when he’s riding the creature in Krypton. My one issue with the technical aspects is the colour grading. It felt very bland to me and that’s a shame, considering how good the cinematography is. If the colours were a bit more vibrant and eye-catching, this could have been one of the best looking movies in the past decade. Easily the best part of the technical aspects was Zimmer’s score. His Superman theme is absolutely exceptional and might just be my favourite work from him. The Superman theme and Wonder Woman theme in this movie are my favourite superhero themes overall. 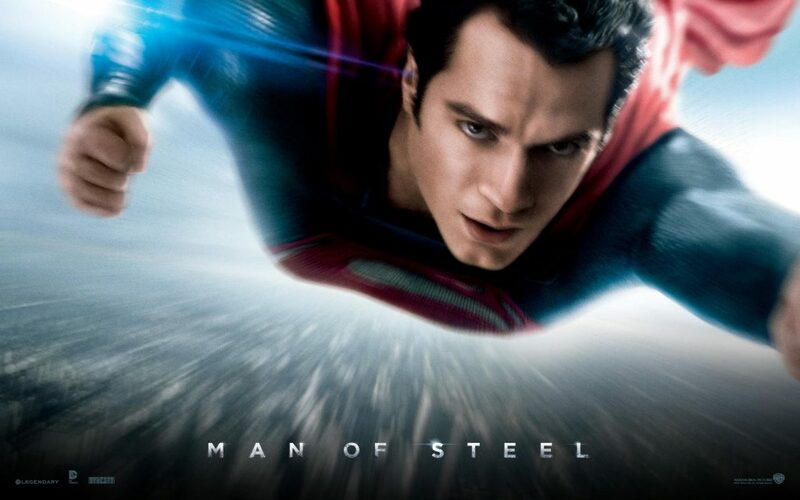 The extensive sound design also helped elevate a lot of the emotional and intense moments like the silence during Jon Kent’s death or when Kal-El is sent to Earth. I wasn’t as interested in the Jon Kent arc as most people but the way they executed the death was beautiful. Part of the reason why I didn’t like this arc was the fact that Jon Kent didn’t exactly do what I think the comic version would have done. I understand the argument that he was just looking out for his son but Jon Kent would never have said that ‘maybe’ line after the school bus incident. Also, I feel like the story just expected us to blindly believe the father-son dynamic and didn’t really show us anything to indicate how close they were. Another relationship Clark Kent had that I didn’t buy was with Lois Lane. Honestly, the Lois Lane arc felt rushed and didn’t really fit into the movie. Even though Amy Adams is a fantastic actress, I don’t think the role suits her well and I believe it is one of the DCEU’s several casting mistakes. Although they do have a lot more chemistry in the other movies, they had nearly none in this movie and the interactions between the two characters were quite awkward. Also the kiss in the final act didn’t feel natural at all. One of my favourite parts about the film is Cavill’s Superman. I’ve constantly heard people complain about how he’s too sad and not happy enough. However, I felt like Snyder tried to create a more realistic Superman and I think if that’s what he was going for, he did an excellent job. Also, I pleasing everyone is incredibly hard to do. An overly happy Superman would have got a lot of criticism for being boring. I thought Cavill did a great job with the parts he was given. He was one of my favourites from the DCEU and it is such a shame that he won’t be playing Superman again. Truthfully, the way this universe has treated him and Affleck’s Batman is ridiculous because those two were clearly the best part about this universe. One of the things this movie has that I feel like the other DCEU films lack is a good villain. I thought Zod was an extremely interesting character and Michael Shannon’s performance was extremely accurate and fit the character well. Other DC films lack this as Enchantress and Steppenwolf were outright awful, Jesse Eisenberg’s Lex Luthor was terribly miscast and Ares was one of the worst aspects of Wonder Woman. The final act also had tremendous action sequences between Zod and Superman. A lot of people say that there was ‘too much destruction’ and honestly I didn’t understand that. An inexperienced Superman took on fully trained General Zod. Of course there was going to be destruction. If that’s a legitimate criticism, then The Avengers had a woeful third act. A lot of people also say that it was out of character for Superman to kill Zod and I have to strongly disagree. At several points in the movie, they make it clear that Zod constantly had a goal to kill everyone. The character had no choice. Personally, I thought the action in this final act was spectacular and I loved how the situation pressured Superman and subverted our expectations. Nobody expected Superman to kill him, yet it made sense and it was the right thing to do. I am super excited for Aquaman. The film shows that it has great visuals, and it has this extreme fantasy feel to it. James Wan is a great director so I have no doubt that he’ll do a great job with this movie. I’ve been disappointed with DC several times before but I have an extremely strong feeling that this could be one of the best films of the year and possibly the best DCEU movie ever. My one fear is that they might try way too hard to make the character seem ‘cool’. He constantly says ‘badass’ or ‘awesome’ in the trailers and it comes off as super cringey to me. I hope he doesn’t display this sort of behavior and attitude as much in the final film as it could mood and tone of intense scenes. not understanding something entirely, but this post gives good understanding yet. I think the admin of this web site is in fact working hard for his website, as here every material is quality based data. Wonderful site. Lots of helpful information here. I am sending it to several pals ans additionally sharing in delicious.